“Dr. Alejandro, all the nurses, and everyone I came in contact with were not only knowledgeable and professional, but also caring and genuinely friendly. The result of my procedure is very natural looking. I am absolutely delighted with the whole experience.” — Rosie B. Cosmetic surgery procedures have come a long way over the past few years. With the most recent advancements in technology, there seems to be a treatment to remedy even the smallest of imperfections. Symmetry plays a significant role in the way we feel about our appearance. One of the biggest problem areas that both men and women dislike are the ears. Here at eláen, our minimally invasive treatment, Ear Pinning Mexico, corrects prominent ears. 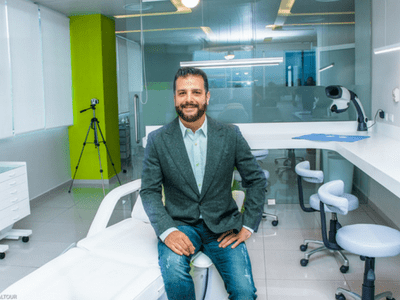 Led by world-class surgeon, Dr. Alejandro Enriquez de Rivera Campero, the team prides themselves on enhancing a patient’s physical attributes — while combining their surgical knowledge to artistically refine the outward beauty of each patient. 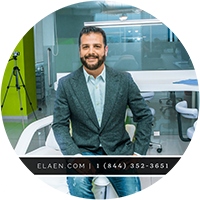 Regardless of your age or prior surgery history, Dr. Alejandro and his team at eláen Plastic Surgery and Hair Transplant Center, will help you achieve your goal of less prominent, naturally balanced ears. Here at eláen, we offer many plastic surgery procedures for the face, including Facelift Mexico, Browlift Mexico, and Eyelid Lift Surgery in Mexico. Ear Pinning Surgery in Mexico can vastly progress the shape, position or proportion of the ear. Also known as, Otoplasty, it can correct a defect in the ear structure that is present at birth that becomes apparent with development or it can treat misshapen ears caused by injury. With Ear Pinning Surgery in Mexico, Dr. Alejandro makes an incision behind the crease of the ear — removing excess cartilage. Once the ear is repositioned to a natural placement, internal dissolving stitches are used. Ear Surgery at eláen Plastic Surgery and Hair Transplant Center, is achieved with the use of twilight sedation. What is Twilight Sedation? Twilight Sedation is an anesthetic technique where a mild dose of general anesthesia is applied to induce anxiety relief, hypnosis, and amnesia.